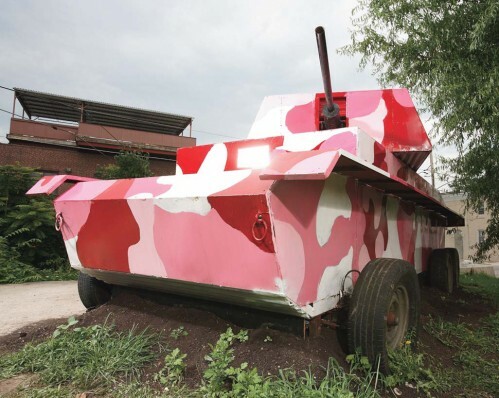 What kind of a tank is pink urban camo colored, pedal powered and fires water (or hotdogs ?!? )… The Pansie Panzer! Its probably better they didn’t paint it green in hopes of attracting “Green” publicity. – i totally think its gay but it should shoot loads of glitter at opposing forces.-and yes should be Hello kitty too. it shoots rainbows and tampons, just like a real American tank.